This weekend Kyle was able to take some time off so we got to do some fun fall things! 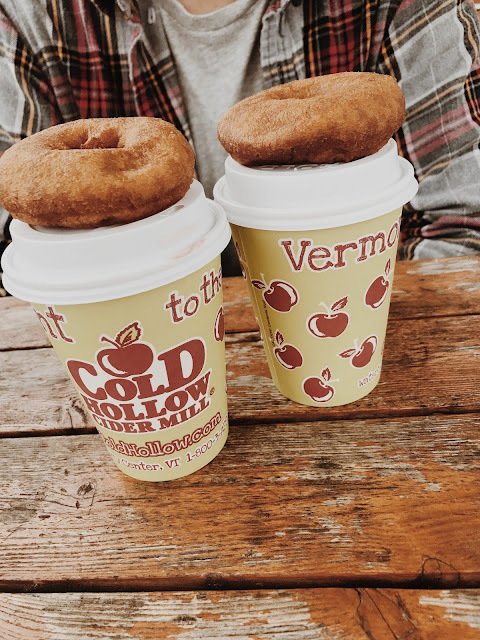 The foliage hasn't really started to come in yet in Vermont so instead of doing our normal fall drive we decided to head up to Stowe to grab lunch & head to Cold Hollow Cidermill and get fresh cider donuts & hot cider! It was the perfect activity for a cold fall day! 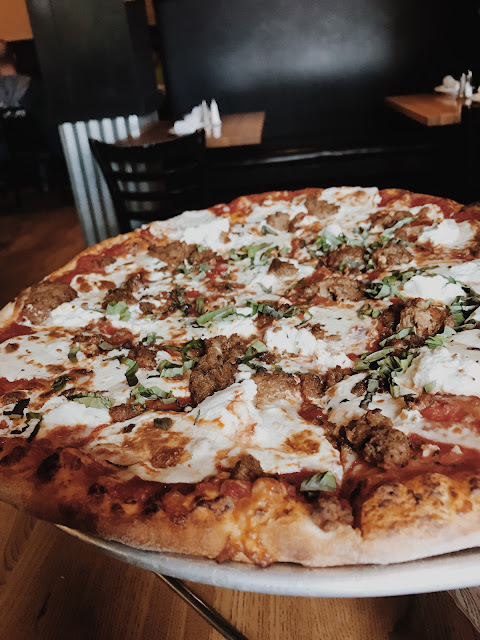 If you're ever in Vermont you have to try Piecasso up in Stowe- it's so delicious and you can get full pizzas or just order slices to go! 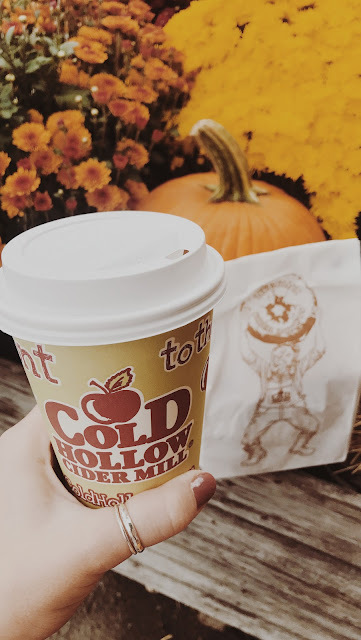 Cold Hollow Cider mill offers so much to do from shopping local VT products to watching their cider be made! I stood outside the cider press just watching in amazement today! It's so cool that the cider is made right in front of you and then bottled! You can also watch the cider donuts be made so when you order them they're fresh and hot! So yummy! I'm thinking tomorrow or next weekend we will go pumpkin picking! Do you have any fun things you do in the fall!? Let me know! Looks like you had a great weekend! Love fall weekends! Omg! 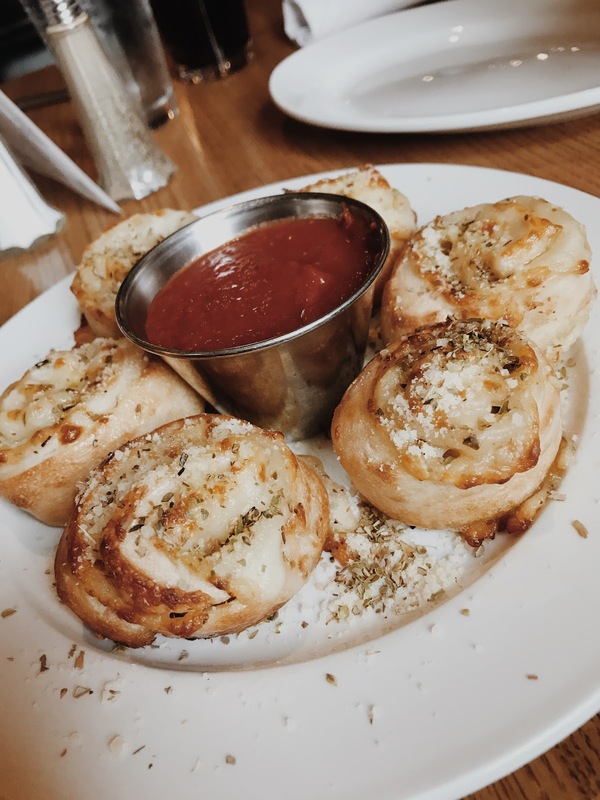 All of your food looks AMAZING! Vermont is gorgeous - I need to go soon! Looks like the perfect fall weekend! I'm still trying to get out to do some apple picking, so hopefully I can do that soon! Your pictures look like the epitome of fall! I've never been to Vermont, but this makes me want to go. 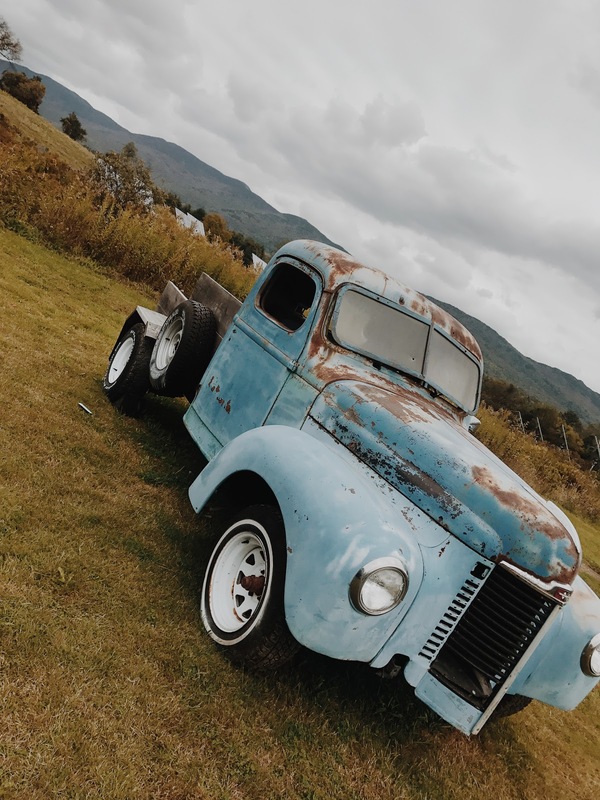 Vermont is on my travel wish list now! Love this post and I hope I can go sometime soon! That looks and sounds like so much fun! I would love to visit Vermont in the Fall! 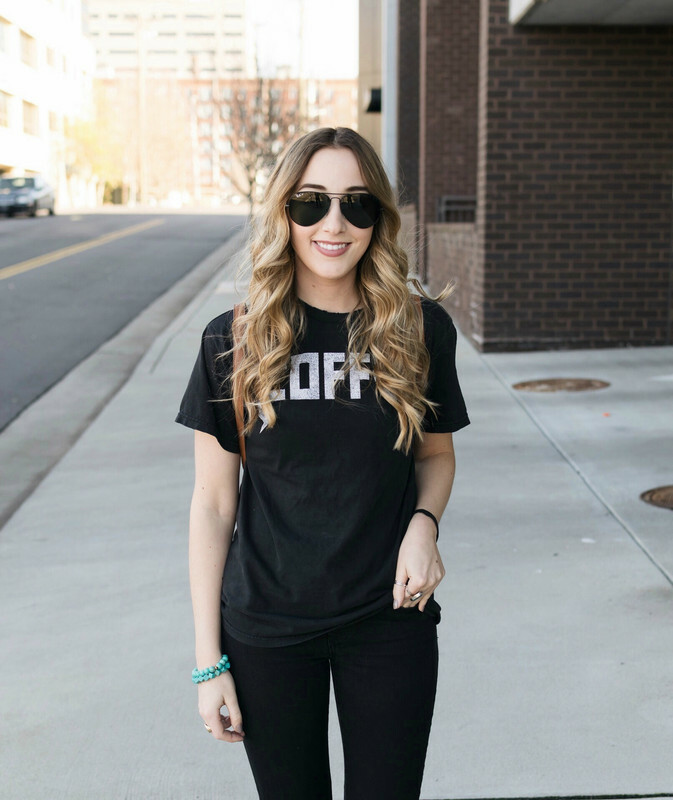 Your weekend looks like the epitome of fall! Obsessed haha. Ahhh, sounds so lovely! Getting me excited for leaves to change and trips to apple orchards here in Northern CA. Happy October! Looks like the perfect fall weekend! This looks like the PERFECT fall weekend. 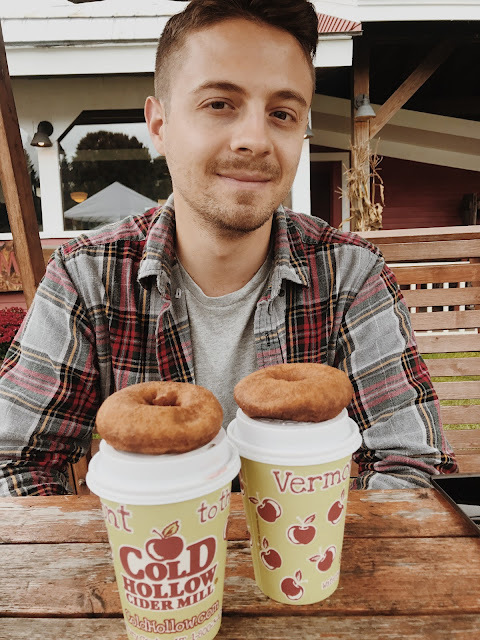 I am dying to go pumpkin or apple picking or even just eat a apple cider donut! This looks like a great way to spend a weekend in fall! That pizza looks delish! All of the food looks so tasty! Your pictures have me craving apple cider donuts... I know what I'll be doing later today! All of this food looks so good! 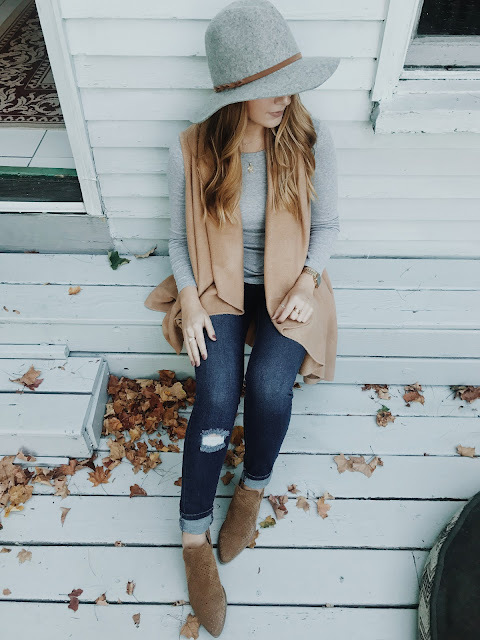 Loving your fall attire! This looks like the most amazing fall trip! I need to do that soon. Hi All! My name is Nicholle & I'm a 20 something Elementary Teacher living in Vermont, with my Fiance Kyle & our english bulldog Penelope!